Yoga retreats are an excellent getaway that combine travel with bona fide R&R. While they can be found in nearly every corner of the world, Asia is still the leading choice when it comes to yoga retreating. The combination of beautiful weather and different culture make Asia an excellent backdrop for practicing yoga (sometimes twice) daily. When it comes to a yoga retreat, there are many factors that influence one’s selection, least of which is price. The following are a selection of yoga retreats in Asia that are reputable, offer comfortable accommodation, and are completely affordable. 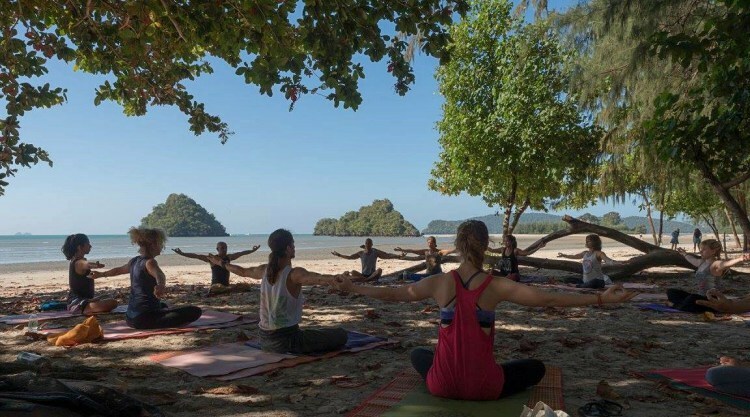 Why It’s Worth Checking Out: Marina Yoga & Reiki is set in beautiful Krabi, Thailand and focuses on healing through yoga, meditation, reiki, and singing bowls. There is a yoga class every morning, and in the evening, students are guided through a 1-hour meditation session. Set in a smaller space, with a lot of interactions with owner and healer, Marina, Marina Yoga is known for its calming energy. Accommodation is more on the basic side, but it's made up for by the special attention given by the teachers/staff to each guest/student. Why It’s Worth Checking Out: Located in the Haad Yuan Bay of Koh Phangan, Pure Flow Yoga is the formerly known Blooming Lotus. Offering stunning views of the bay, high quality instruction by owner Francie and her team of experienced yoga teachers, and nutritious eats at the on-site restaurant, Bamboo Hut, it’s no surprise that the ratings for Pure Flow Yoga are on the higher side. A unique characteristic of Pure Flow Yoga is its jungle-like setting which allows a deep connection to nature. Why It’s Worth Checking Out: Sajeeva Handstand and Yoga Training is a focused retreat on handstand conditioning led by Sajeeva Yoga founder, George Anthony. With a cumulative 4.5 hours of yoga classes per day, the Sajeeva Handstand retreat covers fundamentals, technique refinement, and drills that aid the practitioner on their handstand journey. 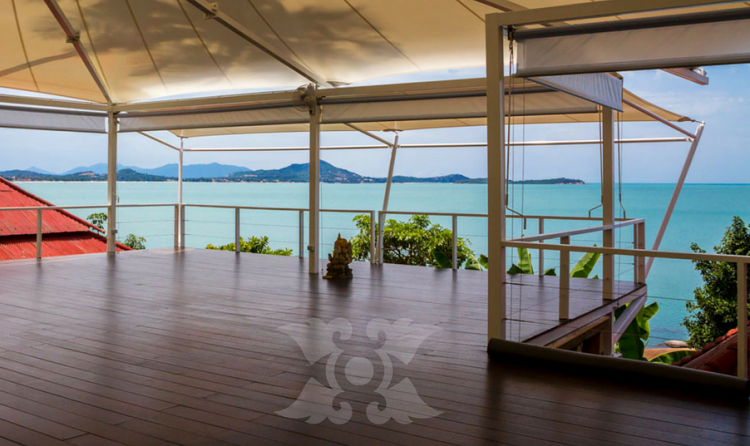 It’s an added-bonus that the retreat is held at the beautiful Vikasa Yoga, which offers stunning views of the Gulf of Thailand. The Sajeeva retreat also offers a wide number of packages that meet every budget. Why It’s Worth Checking Out: Yoga Ties facilitates several retreats a year between Portugal and Bali. Their Bali retreats are held in the coastal village of Canggu, just north of the hustle and bustle of Seminyak. 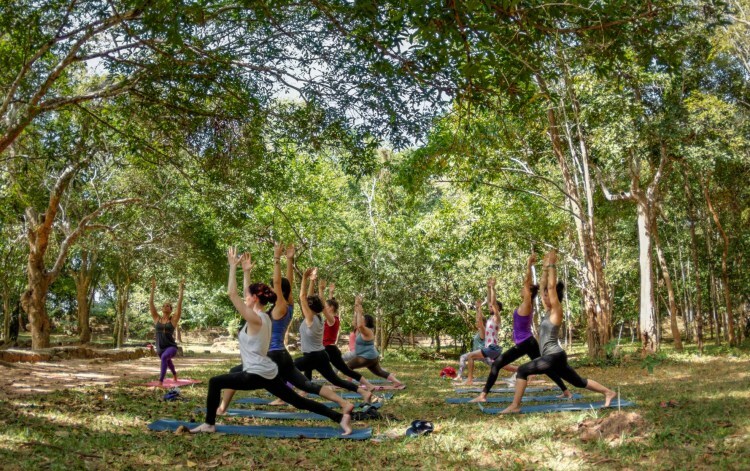 Yoga Ties retreats are comprehensive, focusing on physical fitness & flexibility, nutritious eating, meditation and relaxation, all while connecting with like-minded individuals. An absolute plus is that the groups are small, allowing Yoga Ties to tailor all of the classes and workshops to the needs of each participant. Why It’s Worth Checking Out: Consistently rated 5 stars on travel sites, Hariharalaya is a bamboo paradise tucked away from the heavily touristed Siem Reap. The teachers and staff provide equal support to all of the retreat participants, irrespective of their experience level, making it a very welcoming experience to anyone who is newer to yoga. Practices include asana, pranayama, meditation, and chanting, and furthermore, talks are given on healthy living. One aspect of their programme that makes them really unique is encouraging a complete digital detox for the duration of the retreat which helps keeps the student rooted in the present moment. Yoga retreats in Asia have a strong allure for the yogi seeking R&R in a tropical setting. An added benefit of retreating in Asia is that the lower cost of living allows for some retreats to be priced lower without taking away from the quality of the retreat experience. The previously mentioned retreats are some of my favourite in Asia that won’t break the bank. But if you do your research and refer to travel websites for ratings and reviews, you’ll be sure to find a myriad others of similar quality, experience, and price.